Alrighty tighty, here are my 7 Things! When I was an itty bitty child, probably two or three, I lived in Minnesota where mud comes to visit a LOT during the spring. So, being the little kid that I was, I fell flat on my face and ended up with a mouthful of mud. And I have the picture to prove it. I guess mud doesn’t taste good or something? I’ve been wearing rings since I was five. Currently, I wear a claddagh and a peace sign ring (soooo 2010..I need a new one;) I remember the day I got my first ring:) I was at an arts fair with my Mom in New Hampshire, and I saw this ring that was knotted into a “forget-me-knot” (ha). She got it for me, and I had to save it for my birthday but it was SO worth it! It was sterling silver and I wore it until I outgrew it around age ten or eleven. I make weird noises. When I’m tired or really happy, I sometimes make this pterodactyl noise. Other times, I just make my own sound effects. You will often hear superfluities of onomatopoeias in my everyday jargon. Like when I’m on the treadmill, I occasionally will blurt out zooooom! When I turn off the shower, I do a “raspberry” but with just my lips. So it’s like pppppphhhh! Okay, if the grapes didn’t freak you out, that one definitely did. Congrats ladies! I just recently found all of your blogs, and I love:) Keep bloggin’! 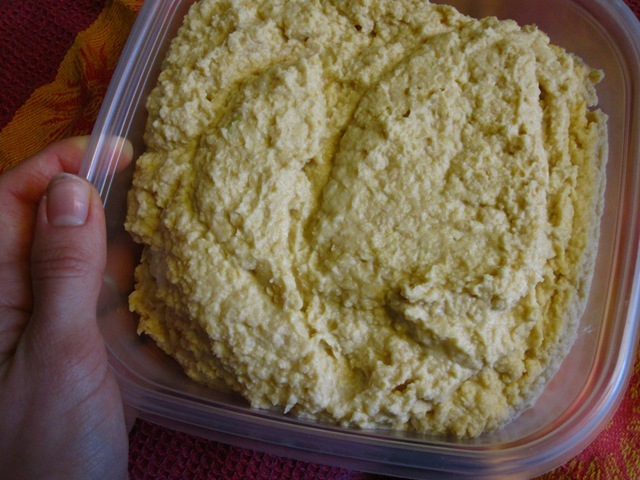 My homemade hummus:) Recipe to come! 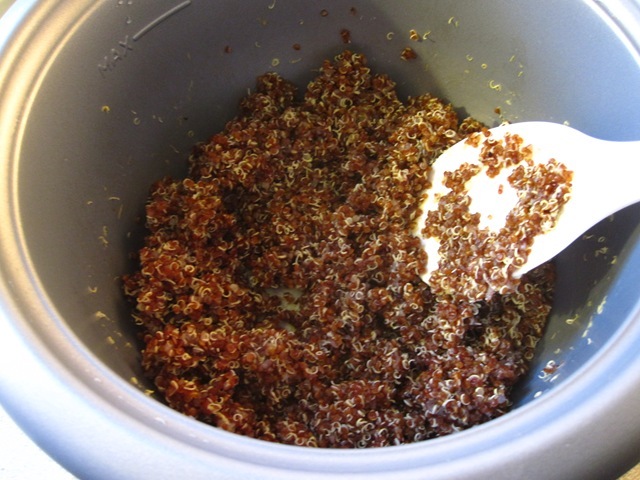 Red quinoa! I can’t get enough of this stuff! It tastes and smells like Grape Nuts cereal, aka nutty heaven. I’ll be up until midnight eating everything in sight since I can’t eat at all after midnight…my tumbly will be grumbling for oatmeal! Have you ever eaten Grape Nuts cereal? Wasn’t it AWESOME? How do you keep yourself entertained/distracted when you are trying not to think about scary things like surgeons and knives poking in your mouth? What are your favorite late-night snacks? 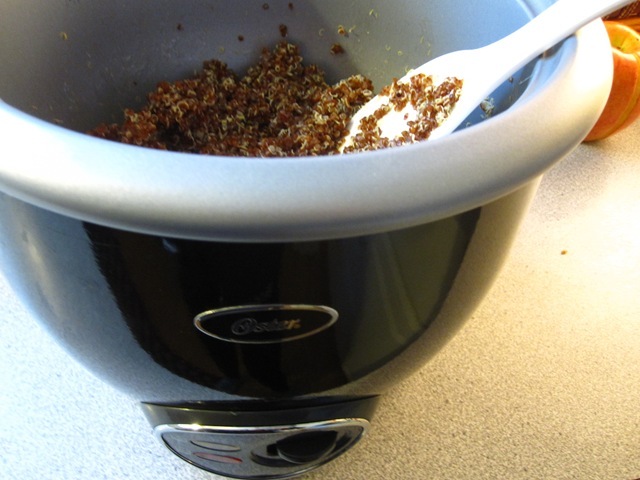 We just got a rice cooker recently – LOVE it! 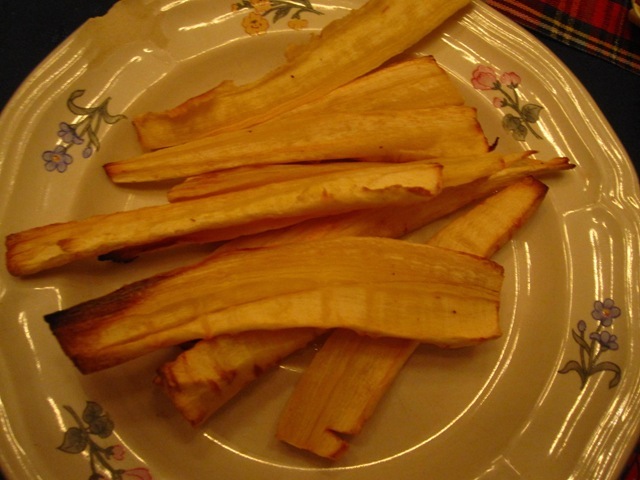 Also love parsnip fries. They are a life-changer. 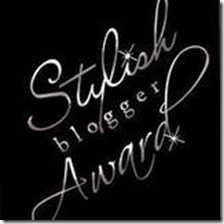 🙂 Thanks for the blog award! yay for awards! Thanks lady 🙂 Your blog looks awesome! Grapes on a pizza…never would have thought of that one before. But I do LOVE grapes, so I might have to try that the next time I have a slice. 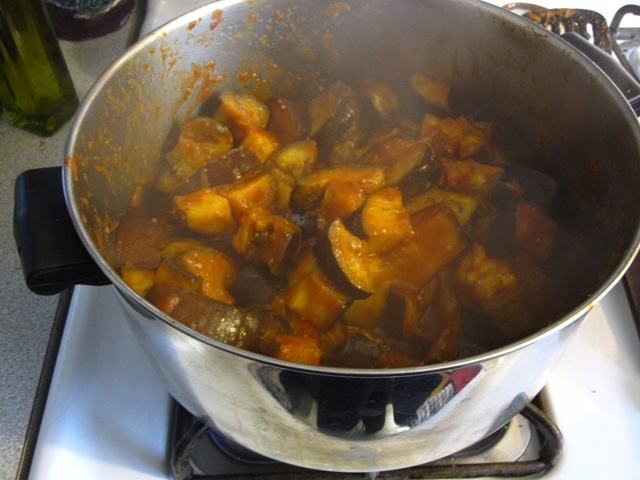 Your pics of the Brussels sprouts and eggplant do look really good! Don’t stress about the teeth. I honestly remember nothing! Just remember to relax, and drink lots of soup. I love a big bowl of cereal at night, or some yogurt. Quinoa in the rice cooker?! I was wondering if I could do that! Is it the same time/amount of water as rice? I always go for cereal with almond milk at night! It’s my go-to bedtime snack. ahhahaha grapes on PIZZA?? love it.. and ican totally relate to number 4! great last supper… good luck tmrw- it will be fine!! Thank you girl! :) Slash popcorn with coconut oil?? I must try this! No but really grapes make everything taste good. I eat grapes by the pound (needless to say I don’t buy them a lot bahaha). My dad is obsessed with grape nut cereal so we have been living off that for a while when I’m back home. I have yet to try red quinoa, ive been tempted to buy some, now i think i will! never had grape nuts cereal before, but i’ll take your word for it. I hope you’re feeling alright! I had my wisdom out a year ago and.. well, it kind of sucked but I recovered pretty quickly. I like to think it was because I loaded up on vitamin C.. haha.Seriously though, I had an insane amount of it. That Grape Nuts cereal sounds SO familiar but I don’t think I’ve ever tried it. Okay, just looked it up and I definitely haven’t tried it but now I’m intrigued! Hope your surgery went well! I actually really enjoy blended foods, so I think your de-chipmunking (love how you call it that!) won’t be too bad! It’s a great excuse to eat all the ice cream you want, if you ask me. Haha heyyo! I miss New Hampshire so much! What neck of the woods are you from? How funny about the grapes! I can’t imagine doing that, but, hey, sweet and salty tends to be a good combo, so why not? Grape nut cereal – love it! Especially heated up in the microwave so it’s slightly soft. Mmm. Distractions – blog reading. Well, that’s my number one distraction at least. Snacks – I always go for breakfast-y snacks like cereal, fruit, yogurt, spoonfuls of nut butter, ha. I like it crunchy;) Thanks for the ideas! Thanks for the congrats!! Love the look of your site too 🙂 And I can honestly say Ive never heard of grapes with pizza. Dont knock it til you try it i guess. Good luck at the doc’s! It will be okay 🙂 I watch funny movies to take my mind off things when stuff is bothering me! I’ve never had Grape Nuts, but I have had quinoa tons, and would eat that morning, noon, and night if I could. 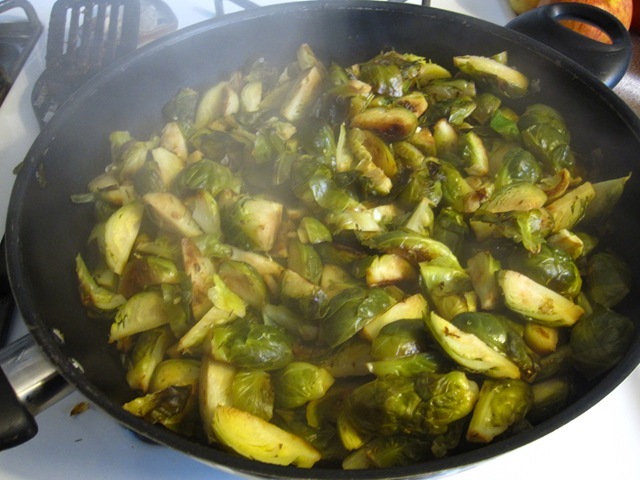 Also, the brussel sprouts look terrific. Red quinoa tastes like grape nuts? No way! I have got to run out now and find this stuff. I love grape nuts cereal! YAY good, I love getting people to try something new!